How do you practice your golf game? Do you work with a coach? Have you tried online courses? Do you skim through books and online videos to find the guidance that applies to your specific weaknesses? However you approach your personal golf training, you likely find that when you step out of practice mode and onto the golf course, there are dozens of new elements that didn’t crop up when you were running drills at the driving range. The wind is blowing in a different direction. You have to deal with an awkward lie. You experience new pressures and distractions. Practicing your swing is not the same thing as practicing the game of golf. This is why golf coaches Matthew Cooke and Iain Highfield created Game Like Training. Cooke and Highfield’s approach to golf instruction focuses on re-creating the full experience of the actual game. What’s more, Game Like Training (GLT) takes a holistic approach, factoring in both the physical logistics of the course and the mental challenges of playing the game. 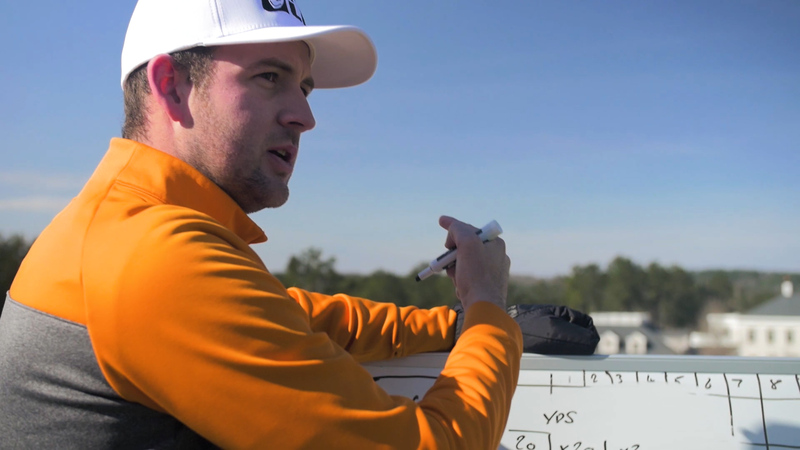 Through their courses, books, and online resources, Cooke and Highfield are revolutionizing the way we think about golf training. One thing is immediately clear about Game Like Training founder Cooke and co-founder Highfield: their standards are high. Not for their students (although that is likely true, too), but for themselves. Both Cooke and Highfield put strong emphasis on the need for coaches to be well-versed in learning sciences. In fact, their system of instruction has been informed by several conversations with experts in Motor Learning, Neuroscience, and Cognitive Psychology. The Game Like Training website offers tons of resources for coaches who want to keep abreast of the latest research in learning science. And that’s to say nothing of the additional insight available through their books and training programs. 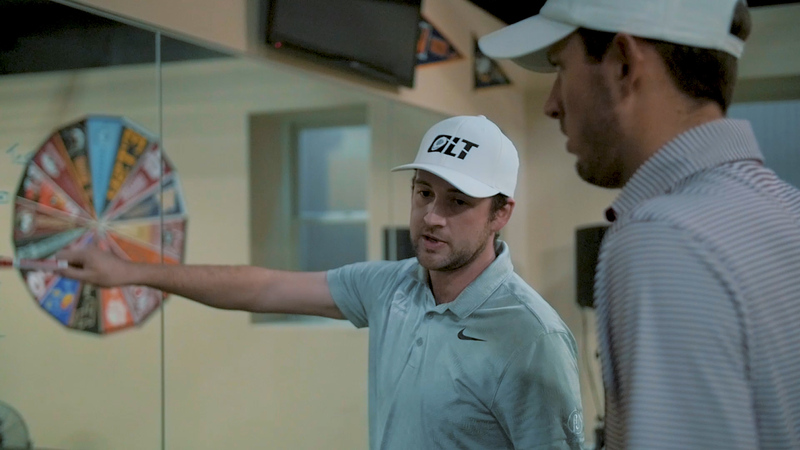 We at USGolfTV recently had the opportunity to speak with Cooke about Game Like Training, and we asked him how he and Highfield manage to stay on top of constantly evolving research. The answer? It was a passion for motor learning, cognitive psychology, and neuroscience that first motivated Cooke to seek out experts in the academic arena. He brought questions to professors and scientists all over the world. He ultimately found not only answers, but also genuine friendships with academics who were eager to share their knowledge. Now, Cooke and Highfield have a network of experts at their fingertips. Their friends in the academic world keep them up-to-date, even sharing papers that have not been published, yet. Cooke and Highfield are always ahead of the curve, and according to Cooke, it’s not because of a calculated business strategy. Their advanced knowledge is a result of real passion and meaningful connections. So, how does this cutting-edge scientific insight influence the Game Like Training approach to golf coaching? Let’s break down what, exactly, Game Like Training is about. What makes Game Like Training so remarkable is that it’s not only innovative; it’s also shockingly practical. Game Like Training takes into account the vast difference between running drills during practice time and plugging those same skills into a real round of golf. That’s not to say there are no drills in GLT (although they prefer the term “challenge” or “skill test.”) The difference is that GLT coaches design their training strategy around the understanding that performance is influenced by more than just motor skills. Matthew Cooke and Iain Highfield developed Game Like Training around four major concepts. Simulation means re-creating not only the physical challenges of a game, but the psychological ones as well. Most students don’t feel the same pressure or stakes in practice that they feel in competition. However, if coaches can simulate that game-like intensity during training, they can help their students develop a stronger mental game and master the social and psychological challenges of golf. Game Like Training does this by “forming an outcome where the student athletes can psychologically construct the same (if not more) value.” In short, to simulate a game is to create a similar level of intensity. Self-regulation refers to the never-ending cycle of creating goals, designing strategies, and evaluating the outcome of those strategies to set new goals and re-strategize. Cooke and Highfield emphasize that self-regulation is central to the learning process. For one thing, self-regulation cultivates the diligence necessary to become a stellar athlete. Perhaps less obvious is the role of learning science in self-regulation. We tend to think of practice itself as the primary vehicle for learning. In fact, students stand to gain a much deeper understanding of the game through the time they take to evaluate their goals and approach. This is why Cooke and Highfield insist on students keeping notebooks with them at all times. “Chunks” are essentially units of information stored in the brain. 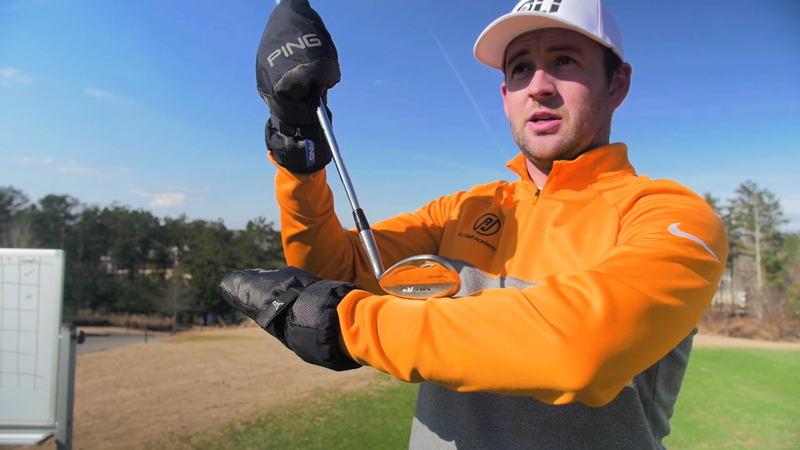 At any given moment in the training process, a golfer is collecting chunks of information. The type of club they’re holding. The direction of the wind. Their mood. The lie of the ball. By storing these chunks of information in practice, that same golfer can call upon them when similar circumstances arise in during a tournament. This process of chunking is typically subconscious for the golfer but deliberate for the coach. 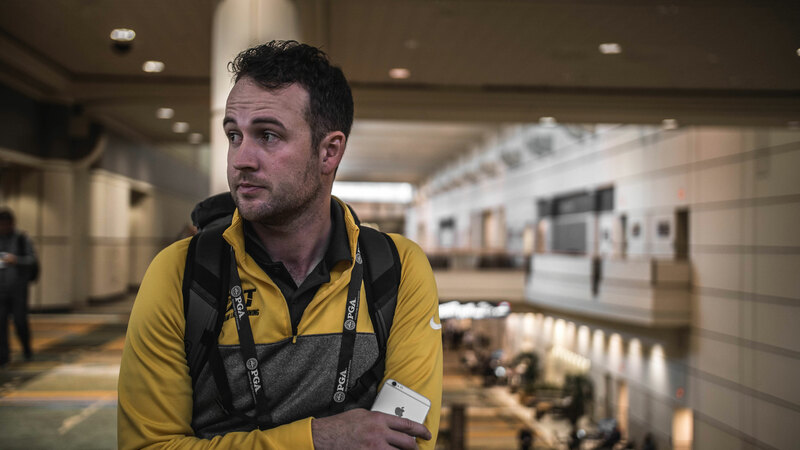 Cooke says it’s up to the golf coach to enable the golfer to collect meaningful chunks in practice by intentionally re-creating and simulating a game-like experience. Once again, it’s all about creating a practice environment around this concept of “desirable difficulties.” Each difficulty turns into a chunk of information that better prepares the golfer for a stressful game experience. Game Like Training is an approach to golf coaching that is truly designed to consider the most specific needs of the golfer. And this attentiveness to students’ needs is clear not only in the Game Like Training approach, but also in the GLT mindset. Cooke and Highfield emphasize a student-first mindset among golf coaches. This may seem obvious, but, as Cooke frequently notes, coaches often fall into the habit of focusing on what they want to teach rather than on what the student is trying to learn. The coach may be the expert, but they should never let pride in their expertise blur their view of what the student needs. This student-first approach also requires a community mindset and personal humility on the part of the coach. Scanning through the staff information on the GLT website, you notice each coach’s bio includes their personal passion as an instructor. For example, Cooke values Skill Acquisition and Motor Learning. Highfield gravitates toward Mental Performance. Every coach is a powerhouse expert in a specific area. By emphasizing and acknowledging each other’s strengths, GLT staff and partners are able to serve their students better. They know who the “specialists” are, both within the world of GLT and beyond it. So, if a student needs extensive help in a specific area and a coach knows someone who is an expert in that area, they aren’t too proud to make that referral. The Game Like Training team are nothing if not generous with their knowledge. Cooke, Highfield, and partners offer several opportunities for golfers and golf coaches to learn with the Game Like Training approach. They offer coaching packages for both tour players and college players, as well as for college teams. For coaches, they offer workshops, seminars, and customized guidance through the GLT Golf Coach Program. Game Like Training has also put out two books. True to his passion for Skill Acquisition and Motor Learning, Cooke authored the book Expert Golfer: Truths on How to Become One. In this book, Cooke shares practical practice strategies developed from his deep knowledge of learning psychology. The second book, OSVEA, was written by Iain Highfield. This book focuses on Highfield’s area of passion: the mental game. In OSVEA, Highfield moves beyond technical drills and shares strategies for strengthening the mental game . . . and for making sure that mental game stays strong in competitive scenarios. You may also want to check out the Game Like Training Podcast, made in partnership with Cordie Walker at the Golf Science Lab. And finally, the Game Like Training website has a wealth of blog posts, videos, and downloadable resources for both players and coaches. Game Like Training represents a significant shift in the way we think about golf practice. We are seeing more and more coaches embrace a holistic approach to teaching, but GLT kicks that approach up to a whole new level. Matthew Cooke and Iain Highfield have sought out the most advanced scientific information in motor learning, cognitive psychology, and neurology. From this cutting-edge knowledge, they’ve developed a system of coaching that makes it easier for players to translate what they learn in practice to actual tournament performance. Much of their system revolves around one practical idea: practice must be as difficult as the actual game. It is up to the coaches to design a practice environment that simulates the challenges of a tournament. And true to their student-first mentality, the team at Game Like Training offer several opportunities to engage in the GLT approach. 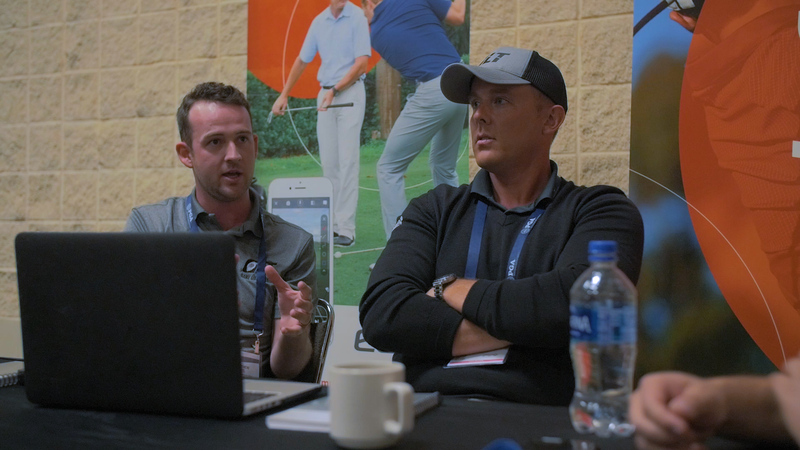 From in-person workshops to a seemingly endless supply of literature, Cooke and Highfield are doing all they can to help golfers and coaches perform better. What are your thoughts on the evolving landscape of golf training? Does Game Like Training appeal to you? Do you have any questions? Let us know what’s on your mind. And if you’re already familiar with GLT, let us know about your experience! We are always interested to hear your perspective. Next post: Austad’s Golf: New Club Fitting Segment on USGolfTV Announced!